Seven-day action-packed holiday, exciting KTMs 790 Duke, astonishing Spanish roads, beautiful beaches with surfboards and effective training on flat track and mini-motos. Are you Ready To KTM SUMMER END?! Ok, have you seen our clip? If so then you probably wonder how much „does it” cost. So here comes the best part: a full week at Casa MotoRmania for „KTM Summer End” is just 780 euro, all included. And yes, your non-riding partner comes free of charge as long as you share the same room. There can be only 3 riders per week – this way we make sure that you feel comfortable at all times, we can provide you with maximum attention, and you get the most out of all activities. Just to set things straight: what do you get for your 780 euro? You will get airport transfer form and to Malaga Airport; accommodation at Casa MotoRmania in a double bedroom for you and your non-riding friend; full access to KTM Duke 790 test bikes; full flat track training on pit bikes, and if you will be ready also on the 300cc flat tracker; full mini moto training at the short track; (fuel and damages on the training bikes are all on our side so you don’t have to worry – no extra costs are involved). You will also get a free access to SUP’s, surf boards, skim boards, and canoes so you can get an active beach time if you like. For all details check the schedule below, but remember – you can do whatever you wish, and you do not need to stick to this schedule at all. Sunday – KTM Duke 790 Day beach ride – you ride bikes to the beach, we bring sup’s, canoes, and surf boards to make the most of your beach time. Monday - Flat Track training day – we ride flat track on the beach, work on your body movement and slide control. Wednesday - Beach fun day – you ride bikes to the beach, we bring the fun stuff. Thursday – Track day on mini-motos at the Copo race track. We work on body position again, racing lines and we focus on riding as smoothly as possible. Friday – Chill out, do-what-you-like riding day – there are plenty of roads waiting, and many places to see. Just get on your bike in the morning, set a target, and have a cool riding day. Make sure you are back in time for the „last night celebrations”. Saturday – „Kiss & Fly day” – we take you back to the Malaga airport. What costs are on your side? You need to get your own plane tickets to Malaga where we will pick you up at the airport. Our KTM’s END of summer weeks start and end of Saturdays. During your stay you need to take care of your own food – we provide you with fully fitted kitchen and grill, however the restaurants near Casa MotoRmania are so cheap it’s unbelievable – they serve fantastic food as well. KTM test bikes will run „full to full” policy – you will receive them full, and you need to bring them back with a gas full of tank at the end of your stay. Also, you will need to be careful. 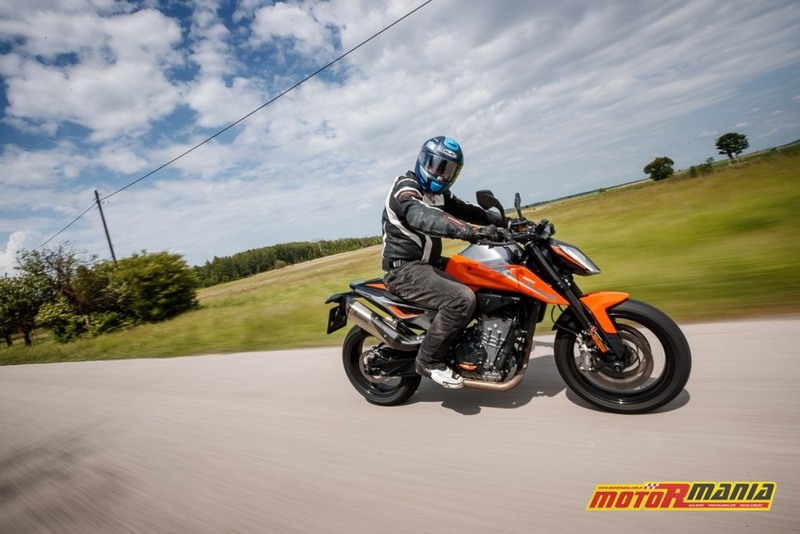 KTM test bikes provided by KTM Central Europe run only basic insurance – you will need to cover in case of damage. Stay safe, don’t hurt yourself – this is the key factor to any motorcycle holiday. 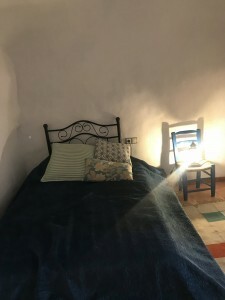 Our advice: get yourself a cheap touristic insurance – they usually cost in a region of 10 euro per week but are priceless in case something unexpected happens. What’s the exact location of Casa Cueva MotoRmania? We are going to take you for a 2 hours drive up the Costa del Sol – from Malaga Airport to Almeria. Casa Cueva MotoRmania is placed near a small village of Alhabia right on the best motorcycle road around. You will be placed at the feet of Sierra Nevada mountains and at the heart of the cornering heaven – this is why we call this place „Moto Angeles”. From here you will get to the beach, riding your KTM’s through some exciting mountain sections. Of course there are many beaches to choose from – long and modern beach in Rocqetas de Mar, crowded beach in Almeria, or beautiful low profile beaches near Capo de Gata. Personally we prefer this last option – it takes a bit longer to get there, but it’s worth it :). It’s an exciting motorcycle ride anyway. 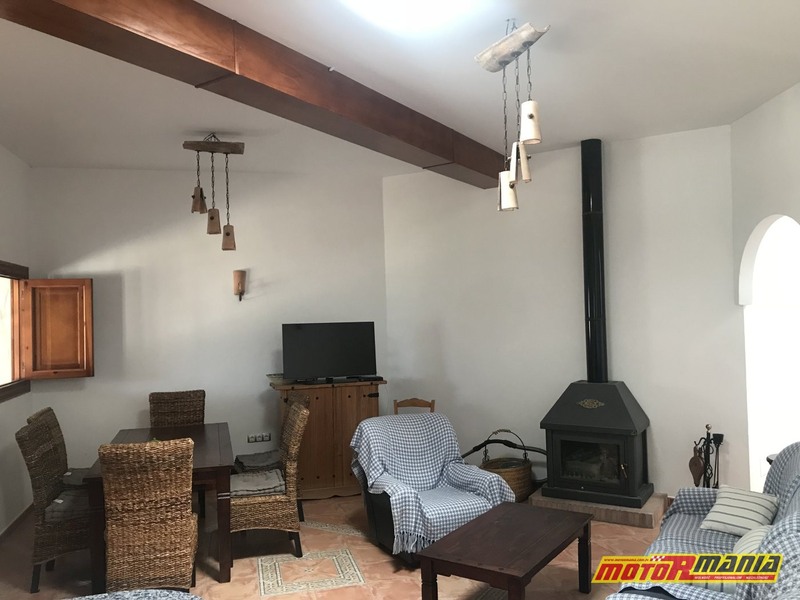 Being placed just 30 minutes from the race tracks of Almeria and Andalusia, Casa Cueva Motormania has a perfect motorcycle location. Last but not least – the area is not affected by touristic mainstream and high season prices. You will spend less money then at home:). This is a kind of Spain you probably haven’t experienced before :). You need to bring your helmet, gloves and protective riding gear. It is best to bring your motorcycle suit as you will need it to train on the short asphalt circuit. You can use the same suit for flat track riding. The weather in September and October is still great and very warm, however the sea tends to be a little bit colder than during the summer months – it is worth taking a wet suit if you have one, in order to stay warm in the water (either surfing, or paddling on the sups). What’s flat track training and short circuit training all about? Well, would you like to ride like Vale or MM93? We would That’s why we are trying to copy what they do to improve their riding skills. Important part of your body movement training and understanding of how to control a motorcycle slide is the flat track training. This is where you feel front and rear slides and you learn how to pick up a motorcycle to control the slide using the lean angle rather than closing the throttle. You will train on our 140cc pit bikes, and if you feel you’re up to the challange you will be able to try our 300cc flat track dedicated bike. We will train on the beach, in the same place where MotoGP rider, Tito Rabat, comes for a practice as well. Who knows? May be you’re going to meet him and ride alongside? 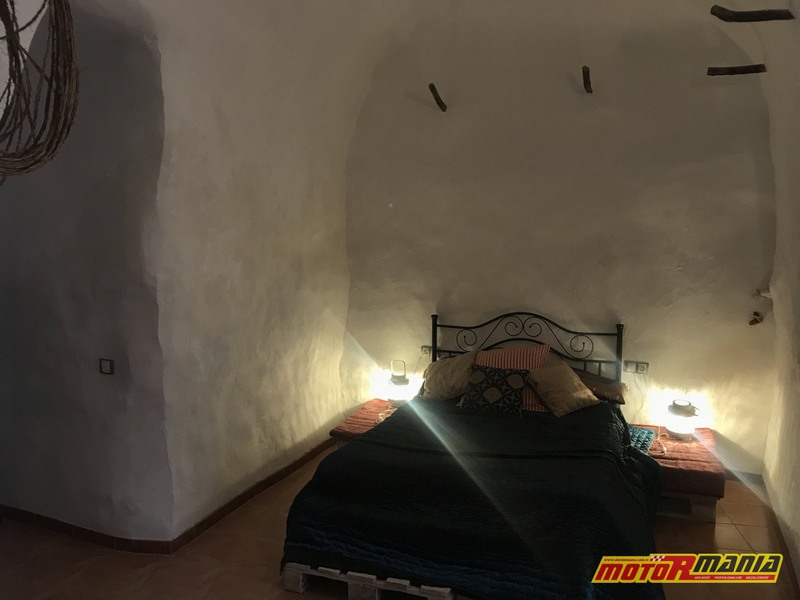 The rooms you’re going to stay in are traditional Spanish caves – MotoRmania house is a typical Spanish Casa Cueva (cave house) – where some rooms are made of mountain caves to keep cool in the summer and warm during winter time. They make for quite unique experience. You will have your own fully fitted private bathroom although it will be incorporated within the house – outside of the cave. You will have an access to a lounge room and a fully fitted kitchen. There’s is an outdoor jacuzzi, swimming pool and crossfit orientated gym – all at your disposal. There are oranges, lemons and grapefruits in the garden – all to add to that special „KTM Summer End” experience. How do I book my KTM Summer End holiday? Please send an e-mail to pejser@motormania.com.pl and check if your desired week is available. If so, we will ask you to do the payment of 780 euro in order to make your reservation. You will also need to buy plane tickets for yourself as soon as possible, as the prices are likely to rise. Please check the availability of the weeks below – note that we start and end the „KTM Summer End” weeks on Saturdays. Jeżeli z jakiegoś powodu wciąż jesteście przekonani, że trenowanie techniki jazdy na miniaturowych motocyklach pozbawione jest sensu, mamy dla was kolejny argument. Hiszpańskie ITD oraz Guardia Civil chcą wprowadzić zakaz informowania innych kierowców o kontrolach i radarach oraz zakaz publikowania takich informacji w internecie. Czy KTM pracuje nad 2-cylindrowym, rzędowym silnikiem 890? Dużo dzieje się ostatnio w Mattighofen. Wheelie jest fajne, a do tego pomaga pokonywać przeszkody oraz uczy kontroli motocykla i ciała. Czy w sezonie 2020 zobaczymy zupełnie nowe, ekstremalne Kawasaki ZX-10R?